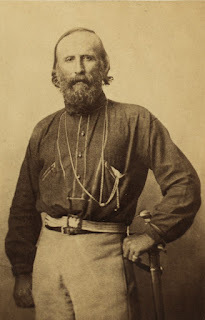 The Expedition of the Thousand, the military campaign to unite Italy led by the soldier and revolutionary Giuseppe Garibaldi, was launched on this day in 1860. 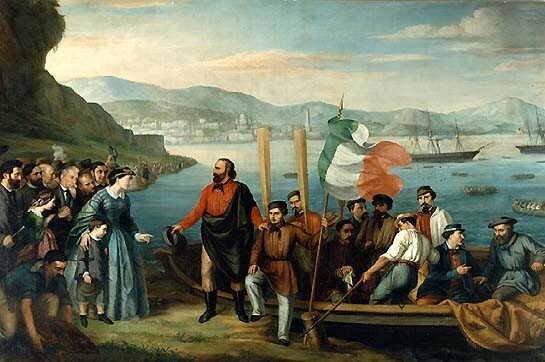 The campaign, in some ways the climax of the Risorgimento movement, began in response to an uprising in Sicily, when Garibaldi set sail from Genoa, with a makeshift army of volunteers, hoping his support would enable the rebels to overthrow the Bourbon rulers of the island. The greater purpose, though, was to achieve another step towards his ultimate goal, which he shared with his fellow nationalist revolutionary, Giuseppe Mazzini, and which was supported by King VictorEmmanuel II of Sardinia-Piedmont and his prime minister, Camillo Benso di Cavour, that of creating a united Italy. The revolutionary leader in Sicily, Francesco Crispi, had all but guaranteed that substantial numbers of Sicilians would fight on the side of Garibaldi’s troops. 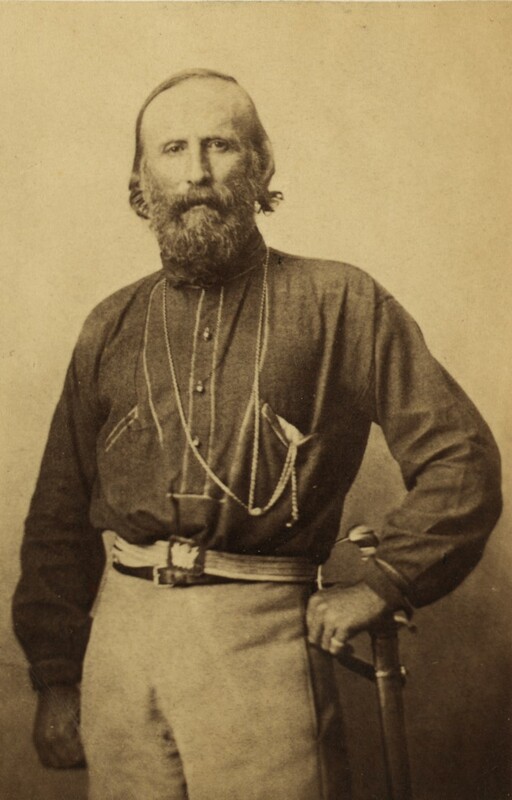 Some accounts suggest Garibaldi, who had commanded military campaigns in Europe and South America and was a charismatic figure, had wanted to lead his followers into an attack on the French occupiers of Nice, his home city, but was persuaded to turn his attention to Sicily by Cavour, who feared a war with France would result. Whatever the truth of that story, after another revolutionary, Nino Bixio, had requisitioned two steamships from the Rubattino shipping company in Genoa, Garibaldi summoned his volunteers to nearby Quarto, where they were to embark. The exact number who had enlisted is not known, although 1,089 is the number often quoted. 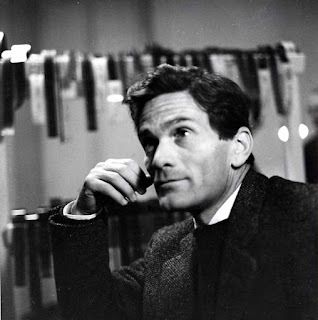 They are said to have included 434 from Lombardy, 194 from Venetia, 156 from Genoa, 78 from Tuscany, around 45 from each of Sicily and Naples and 33 foreigners. The cities of Genoa and Bergamo were thought to have supplied one third of the force between them. Nearly all were said to be from middle-class backgrounds. Many were teachers, writers or traders. There were 150 lawyers and law students, 100 physicians, 50 engineers, 20 chemists, ten painters and sculptors, three priests and 30 naval officers. Armed with outdated muskets, the group were poorly equipped, but their simple uniform of red shirts and grey trousers helped foster a strong sense of unity. 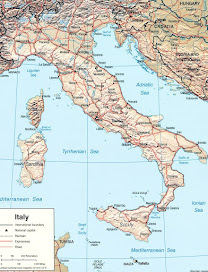 Italy at the time was made up of five states - the Austrians in Venetia, the Papal States, the Kingdom of Piedmont-Sardinia (which by then included Tuscany), the Kingdom of the Two Sicilies, and San Marino. Piedmont-Sardinia and the Kingdom of the Two Sicilies, which essentially encompassed all territories south of Rome, were by far the largest and it was felt that a new state uniting both could justifiably be called the Kingdom of Italy. 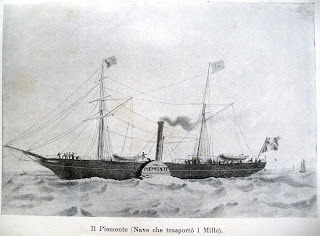 After renaming the two steamships Il Piemonte and Il Lombardo, Garibaldi took to the seas on the evening of May 5. On reaching Sicilian waters, he was almost ambushed by the Bourbon fleet but, with cover provided by the British Royal Navy, who had ships in the area monitoring the activities of the French, his armies landed at Marsala on May 11. Garibaldi’s force was tiny compared with the number of soldiers at the Bourbon leader King Francis II’s disposal, yet in the face of public support for the invaders, who disliked their rulers and hoped Garibaldi would seize land from the wealthy and give it to the poor, the Bourbon defences at Marsala quickly crumbled. After the Thousand moved into Palermo, the city came under heavy bombardment from the Bourbon general, Ferdinando Lanza, and 600 civilians were killed. But those who survived never wavered in their resolve and Lanza eventually surrendered the city to Garibaldi. 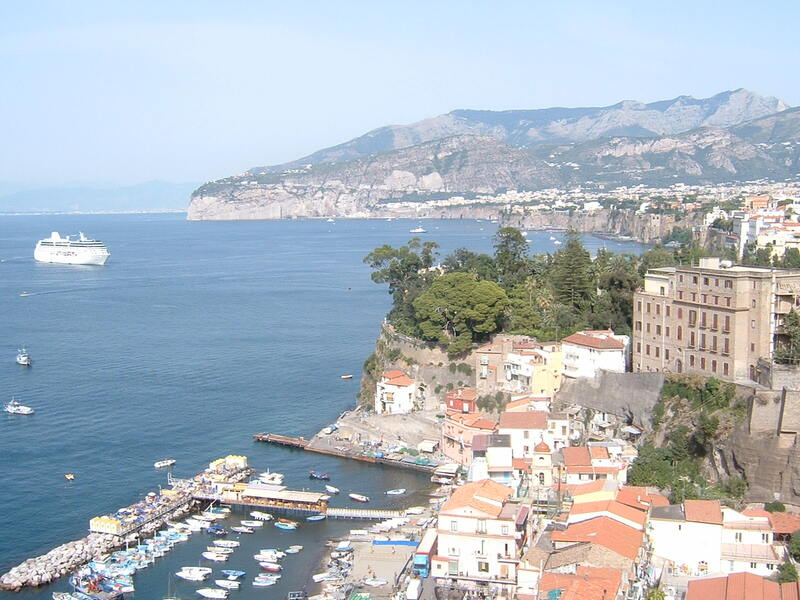 After proclaiming himself the ruler of Sicily on behalf of King Victor Emmanuel II, Garibaldi led his army across the Straits of Messina and headed north towards Naples. 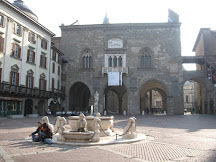 All along their route, the red shirts were hailed as heroes and resistance was so sparse that Garibaldi was able to arrive in the city by train. In the meantime, the Kingdom of Sardinia-Piedmont invaded the Papal States, conquering Umbria and Marche and reducing the reach of the pope’s territory to just Lazio and the Vatican. In the decisive Battle of the Volturnus in October, Garibaldi’s army had grown to 24,000 men, although it was only with the help of the Sardinian army that the 25,000-strong Neapolitan Army was defeated. 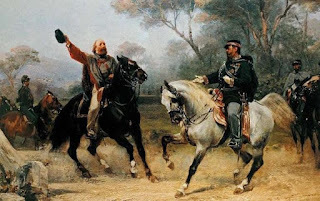 The end of the expedition is traditionally seen as the meeting in Teano in northern Campania between Victor Emmanuel II and Garibaldi on October 26, when Garibaldi formally handed over the Kingdom of the Two Sicilies to the monarch, whom he declared to be the King of Italy. This conclusion disappointed such as Mazzini, who wanted Italy to become a republic, but Garibaldi believed that unity was the primary requirement. Following the historic ‘handshake’, Garibaldi returned to his home in Caprera, a small island off the northern coast of Sardinia. 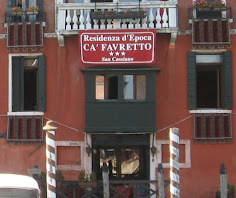 The former fishing village of Quarto al Mare, now a residential area to the east of Genoa, was renamed Quarto dei Mille in 1911 in honour of Garibaldi’s expedition. 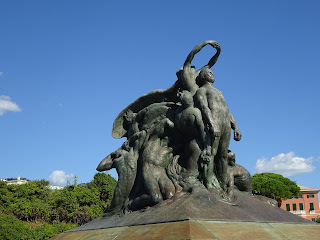 The road that runs along the sea front is called Via V Maggio (May 5 Street) and passes, on either side of the small inlet from which the boats carrying his men set sail, a couple of commemorative statues, a sculpture by Eugenio Baroni erected in 1915 and opened by the writer and patriot Gabriele D’Annunzio, and a more recent obelisk by Fabrizio Pezzoli, which marks the exact rock from which the Red Shirts climbed into rowing boats to take the to the steamships anchored off the shore. The nearby Villa Spinola, where the participants gathered, now houses a Garibaldi museum. 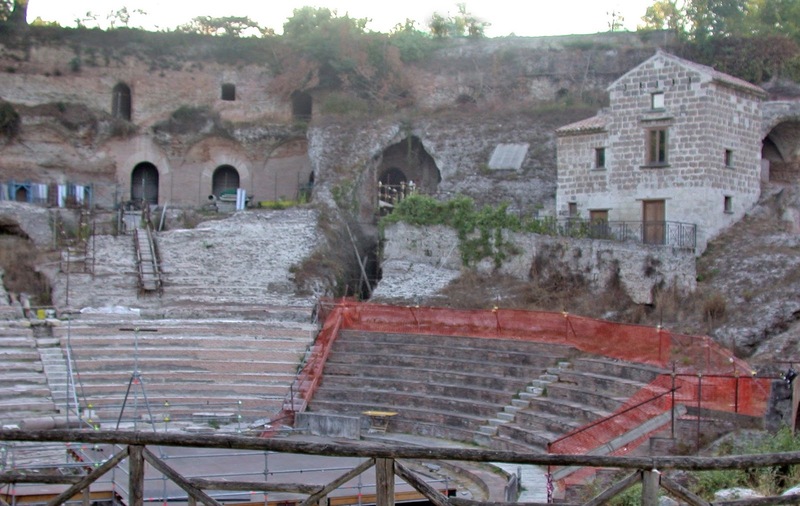 Teano in Campania, scene of Garibaldi’s meeting with King Victor Emmanuel II, is a town in the province of Caserta, north of Naples, that is built on the site of the important Roman city of Teanum Sidicinum. 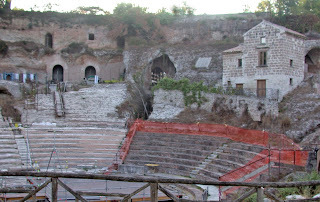 Roman remains include a theatre, once one of the largest in Italy, some statues and Roman houses. 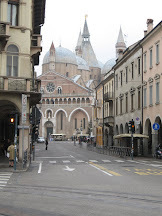 Other sights in the town, which sits at the foot of the extinct Roccamonfina volcano, include a 12th century cathedral, in front of which is a portico containing two red granite sphinxes that originated in a pagan temple on the same site. There is a statue in bronze by Oreste Calzolari depicting the handshake on horseback of the monarch and the revolutionary, although this currently resides in Piazza Mino da Fiesole in Fiesole, outside Florence.